It has been 195 years since "Silent Night", a popular Christmas carol, was first performed at St. Nicholas parish church in Oberndorf, Austria on December 24, 1818. The song was composed by Franz Xaver Gruber to the lyrics by Joseph Mohr. It was declared an intangible cultural heritage by UNESCO in March 2011. 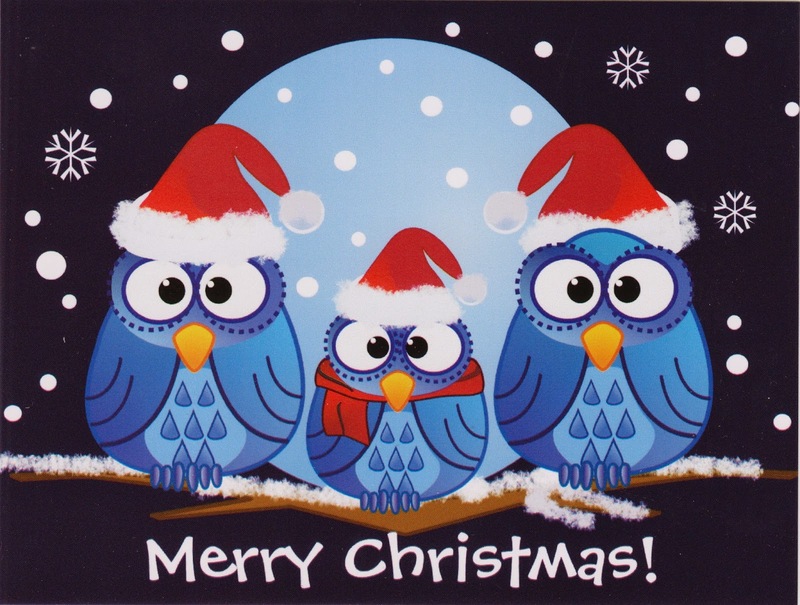 Postcard US-2529926 to Thailand arrived just before the Christmas, showing three owls with Christmas hats. 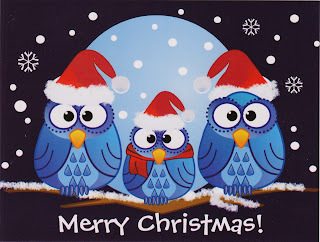 Maybe they will join the carol?